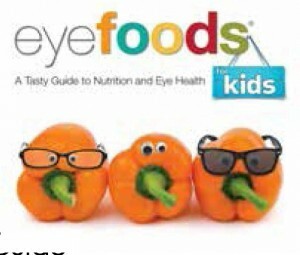 The team that brought you Eyefoods: A Food Plan for Healthy Eyes is releasing a first-of-its-kind eye nutrition book for children this spring. Eyefoods for Kids is a visual system book like no other. Using the unique Eyefoods® nutrition and health book format, young readers are encouraged to learn how the foods they eat contribute to eye health. Featuring detailed, full-colour illustrations, close-up photography, and easy-to-understand information on diet and nutrition, Eyefoods for Kids demystifies the workings of the visual system. Written by optometrists and eyefood and health experts Dr. Laurie Capogna and Dr. Barbara Pelletier, Eyefoods for Kids is a fascinating guide to the wonders of one of our most important information-gathering systems. It is great as a giveaway to patients or local schools, or to retail in your practice. This entry was posted in Books by Envision Magazine. Bookmark the permalink.